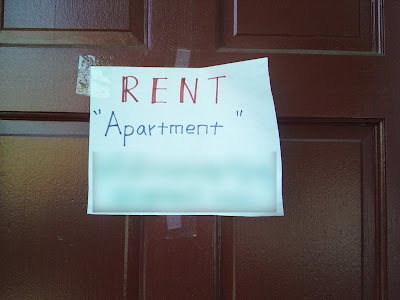 The “Blog” of “Unnecessary” Quotation Marks: "apartment"
I don't know what this "apartment" looks like (closet under the stairs?). Thanks, Eric. The owner is a haughty Brit who'd rather say "flat."